Thin Client software for your Raspberry Pi with Wlan support. 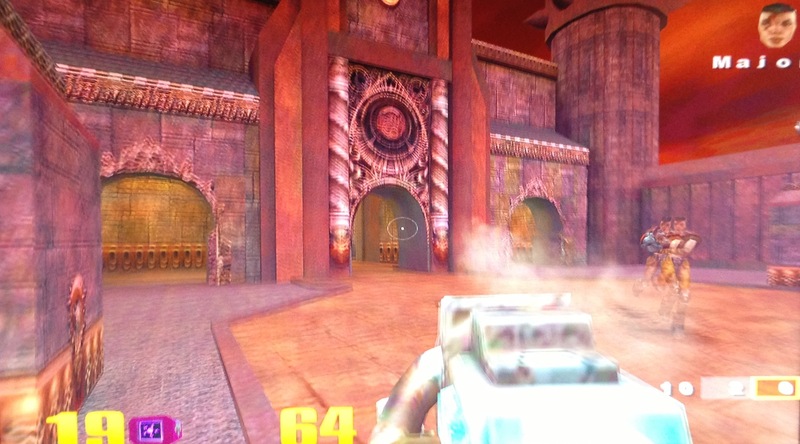 The guys from the RPiTC project have released a new Raspberry Pi optimized image. The image is much quicker and supports WLAN out-of-the-box. You can download the image from my dropbox. Extract the image from the RAR file with e.g. 7-ZIP and save it on a local drive of your PC. Write the image to an SD card as described in one of my previous posts with Win32Diskimager. Start your Raspberry Pi with the prepared SD Card and with monitor, mouse and keyboard attached. The Desktop shows the various pre-installed Thin Client applications like RDP, VMWare, Citrix, X2Go, xFreeRDP, Ice Weasel with ICA etc. I use Ice Weasel with ICA mostly. You will have to connect either a LAN cable or setup a WiFi connection for a USB dongle. WiFi is supported out-of-the-box for my Edimax WLAN Hi-Speed USB 2.0 EW-7811Un Nano. Right-click on the desktop and select LX-Terminal from the application menu. A Window with the command prompt will open. To get the WiFi working only one config file needs to be created and another needs to be modified. reboot & you are good to go! This entry was posted in Raspberry, Wlan and Wifi and tagged citrix, Citrix Receiver, ICA, Iceweasel, OpenNX, Raspberry, Raspberry Pi, RDesktop, Rpi, SPICE GTK, Spicy, VMWare, vWorkspaces 7.0b, Wlan, X2GO, xFreeRDP on May 10, 2013 by racer993. The new files can be found in my public Dropbox in the \Images\Airpi directory. The broadcast name of the Raspberry AirPi can easily by changed, at the command prompt type:nano /etc/init.d/shairportlook for the following lineDAEMON_ARGS=”-w $PIDFILE -a AirPi”and change AirPi in what ever you like. This entry was posted in Raspberry and tagged AirPi, Apple TV, download, iOS6, iPad, iPhone, Logilink UA0053, Raspberry, Raspberry Pi, Rpi, Shairport on March 19, 2013 by racer993. There are several posts on the internet describing how to turn your Raspberry Pi into an Airpi. The install assumes working from a clean Raspbian Wheezy setup as decribed here. You can also add Wlan support and USB Sound support. This entry was posted in Raspberry and tagged AirPi, iOS6, Raspberry, Raspberry Pi, Rpi, Shairport on March 17, 2013 by racer993. 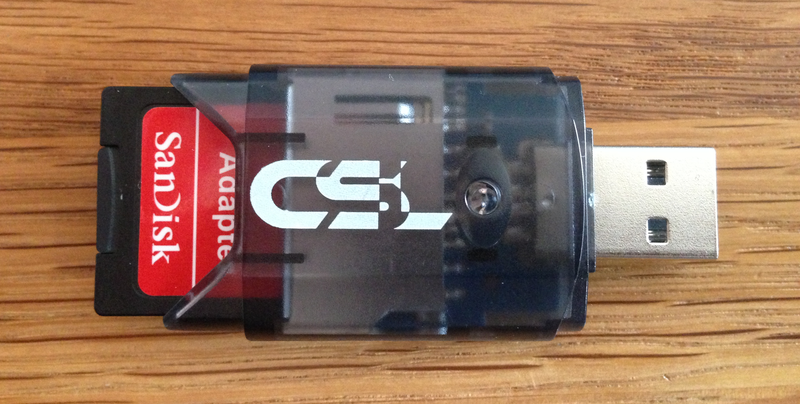 When you want to operate your Raspberry Pi, you need an SD card with an “OS”. I like using Raspbian Wheezy, a Linux Debian distro tailored for the Raspberry Pi. 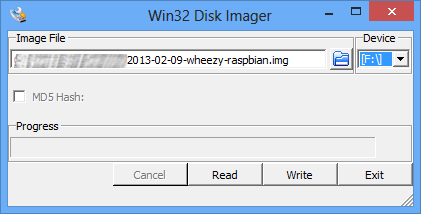 Download & unpack the Raspbian Wheezy OS. Pu the SD card in the card reader and connect it to your PC. Hit the Write button, wait for the write process to finish. PS: In case you want to make a back-up of your SD-Card you can create an Image File, select the Device (Card Reader) and press Read. This will create an image file of the SD card in the card reader. PS2: in case you want to format your SD Card the HPUSDDisk.exe tool might come in handy, as it formats the SD Card regardless of size, OS and / or file system. This entry was posted in Raspberry and tagged HPUSBDisk.exe, Raspberry, Raspberry Pi, Raspbian, Rpi, Wheezy, Win32DiskImager.exe on March 17, 2013 by racer993.